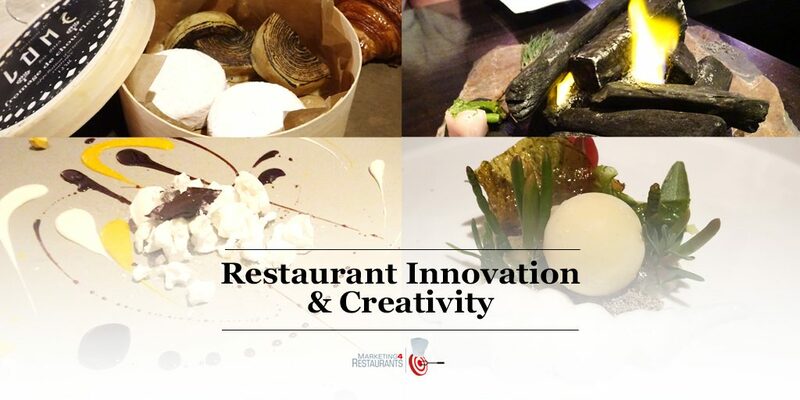 In this podcast, we look at Restaurant innovation and creativity. What is Restaurant Innovation? How can you innovate and what techniques are there to help you be more creative in your restaurant? The times, they are a-changing. Customers are changing, tastes are changing, dining experiences are changing, competition is changing, and the players in the industry are changing. I was surprised to see the number of people who are still advertising in the Yellow Pages. The budgets that people are spending is amazing, when you think of the returns that you would get if you were spending that money online. We discuss the 7 best uses for the Yellow Pages in 2017. The online startup space has innovation built in, but the imperative to innovative is a lot more insidious. The lack of pressure to innovate means that Restaurants often slowly decline in their Restaurant as customers needs change. The rise of Delivery services, pre-prepared food, booking aggregators are all changing the restaurant business – the big companies are big on Restaurant Innovation, but it can be slow for many of them. For small restaurants there are a lot of ways that you can be very agile in the way that you innovate. What kind of person is better at innovation and how can you use that to help your team innovate? What kind of activities can help you with innovation? How can you change your habits and routines to increase your opportunities to innovate? Start Taking Orders from your Restaurant Website Today! We look at the different actions, people and activities. I’ve started playing the drums and going to art galleries to change the way I think and the ideas that I am having. Without that external stimulas, it is very difficult for your to come up with different ideas. How did Massimo Bottura develop the ability to fuse art and his culinary techniques to create the dishes that lead to Osteria Francescana. We discuss business model innovation and menu innovation. We discuss how taking ideas from different industries can make a big difference in your industry. Plus or minus 10% everyone else in your industry is doing the same as you. In other industries, there may be much better results. You take take existing products and techniques and fuse them together or your can take an object or concept and recreate it in food. We look at the Flavour Thesaurus by Niki Segnit. We look at the work of Grant Achatz and his Apple Taffy and how it brings back childhood memories which are a fundamental part of the attraction of the menu item. How can you recreate a menu with different items, maybe cheaper items. We discuss failure and why it is important to embrace failure as a part of the innovation process. Wolfgang Puck has said that he has opened a lot of successful Restaurants, but he has learnt the most about the restaurants that failed. Start taking Bookings from your Restaurant Website Today! James Eling: Hey, it’s James from Marketing4Restaurants and welcome to episode 37 of Secret Sauce, the restaurant marking podcast. Restaurant innovation. What is innovation? Why should you innovate? And, most importantly, how should you innovate? Voiceover: Some restaurants are quiet, lose money, and the owner works 70 hours a week. Other restaurants are busy, profitable, and the owners work a few hours a day. What’s the difference? They have a secret sauce. 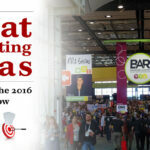 Join James from Marketing4Restaurants as he helps you come up with your recipe for restaurant success, your secret sauce. James: Hey, everyone, welcome back. How did you go with the episode on Facebook livestreaming? I guess the one thing that I should have put in there is that you need to acknowledge the fact that it is actually quite stressful. For us it’s little bit more complicated because we want to have a PowerPoint going at the same time so you can sort of get an idea of what we’re talking about. And, I got to tell you, I spend a not insignificant amount of time just trying to get it alright. On top of that, we’re in an area where our local carrier, Telstra, has got really crappy internet. Our LAN ADSL is awful, and our 4G signal is awful. So, it’s really, it is actually quite a stressful process and then, on top of that, you’ve got all of the stresses of getting it all ready and up and read to go. And then you’ve got the stress of actually producing live content. So, I do want to acknowledge that. I find it quite stressful to do and I know a lot of other people stress about it, as well. But you know what, just get out and do it. I think that that’s the big thing, you know. Take the Nike approach, just do it. So, today we’re going to talk about restaurant innovation. Before we talk about that, we’ve got customers now in Singapore and the Czech Republic. The Czech Republic, that’s super exciting. So, just really excited to see our little booker table which is up on a restaurant website in the Czech Republic, and same same for Singapore. So, really exciting as we start to push out into more countries. I think we’re in eight countries now. I’d missed the signup of the Singapore business, we’ve got a series of world clocks displayed on our monitors so that we can see what time it is all around the world. And we’re running out of real estate, I said to the guys, you know, “Why have we got the Singapore clock there? We don’t have any customers in Singapore.” And someone said, “Yeah, we do.” It’s like, “Wow. 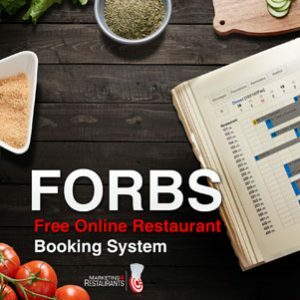 That’s awesome.” So, yeah, the free restaurant online ordering system, the free restaurant booking system, that’s up to about 17 million dollars’ worth of bookings. We’re putting in a few more additions to that this week, really, really making big inroads for people who: A.) want to take bookings online, and B.) Be able to build their own database. And, of course, the websites. Don’t forget the websites. It’s really important that, you know, I think I’m very passionate about the fact that the website is the central part of your online marketing strategy. It’s the one piece of real estate that you control, not anyone else. You don’t have a lot of control over Facebook, you don’t have a lot of control over Instagram, YouTube. The website though, that is something that you control. You can completely dictate what content goes up there. So, it’s important I think that you get that right. Now, restaurant innovation. I’ve been researching this for a while, I wasn’t going to do this podcast now. There was a few others that I had lined up next, but this has become really important. It’s become really important for a couple of reasons. The first one was I was watching, on Monday there was a little bit of a conference which was being livestreamed. And they had a panel discussion about innovation in the restaurant, and it was a panel discussion and someone stood up, a restaurant owner stood up and said, “Okay, so how do I innovate? Tell me what it is that I should be doing.” And, in fairness, the person who answered it probably is not someone who works in the innovation space. So, and I think that’s actually a really, really difficult question. But the answer that they got, they said, you know, “Just continue doing what you love doing. And if you’ve been doing something for 25 years and you love it, just continue on.” That’s a little bit disruptive because not many people would expect to do that. With respect, and I know that that was a question that they probably weren’t expecting, I’m not sure that that’s the best advice possible. A lot of people think that there’s a lot of change going on in the restaurant industry as we speak. Competition’s getting fiercer, there’s a lot more new techniques coming out, there’s a lot more ways of marketing, there’s a lot more ways of managing your staff. Each one of those things flows into an advantage for a restaurant, so I think that you need to be continually innovating and you need to be looking for the next big thing. You need to be trying things. So, doing the same thing, I suspect, that for a lot of restaurants that is going to be a recipe for disaster. And I see that, I see that in our local restaurants. The restaurants that I went to 20 years ago that were really popular because they offered a really, really great experience, they have almost the exact same menu and they have the exact same service and the provide the exact same experience as we got 20 years ago. I’ve got to tell you, that looks really dated. And I remember, you know, you would book into these places because, particularly if you were going on a Friday night, you probably wouldn’t be able to walk in and get a seat there. Now, they’re only half full on a Friday night. Who knows what it’s like mid-week, really scary. These guys just aren’t innovating, and this is the thing that’s killing it for them. They’ve got to be coming up with something new as people’s tastes change, as what it is that defines a dining experience change. And I think it’s really important. So, what we’re going to do is we’re going to go through why you need to innovate, what is innovation, and, look, this is a really, really tough question. A really tough question. I’ve been doing a bit of research and I’ve also been thinking about the way that we innovate. How is it that we come up with new products? So, the other thing that triggered me to do this podcast was I was actually planning on doing a little bit of a video about how marketing has changed, but I needed a copy of the Yellow Pages. You know, the directory book that they used to have. And I thought, “You know, I’m sure we haven’t got any kicking around. That’s fine, I’ll just jump on Facebook and I’m sure someone will have some and we’ll go out and pick up a copy of the Yellow Pagers. That’s a no-brainer.” And late last week we were having a meeting and a girl came into the office and she had something in her hand and I thought, “Oh my God, is that what I think it is?” And I’ve run out and I’ve said, “Is that the Yellow Pages?” And she was like, “Yes, it is.” And I think she was overwhelmed because I was super excited. Pretty sure that she didn’t think that I was going to burn it. And I said, “This is epic, I’m super excited.” And she goes, “Wow, that’s great.” And I said, “Do you mind if I have any more?” And she goes, “How many do you want?” So, I ended up getting five off her, and we created a funny video, I’ll include a link to it. You know, eight things that people use for the Yellow Pages, because it’s certainly not looking for businesses. Now, the really scary thing was two things. I went through, so I opened it up to the restaurant section and it’s our local Yellow Pages and I had a look in there, and it was like, “Wow, there are some people taking out really, really big ads. Really big ads.” What would that translate as a Facebook budget? I can’t fathom why anyone would do that. And I know that there’s significant flaws with the Yellow Pages product. I went through it and there was a restaurant that had closed three years ago in there. Now, they didn’t have an ad, but they were listed in there. The quality of the database has fallen off dramatically because of the fact that, you know, people just aren’t paying for this anymore. We did go through it and it’s amazing, I find amazing, the number of people who have got ads in there. Now, I’m not saying it doesn’t work at all, but I’m suggesting that there’s significantly better return on investment marketing ideas that you can do. And this is the thing that a lot of people have struggled with is that they haven’t innovated in the way that they market. There’s a lot of places that you can innovate, and I think that this was the crystallization of the thought. This is why you have to innovate. Must, must, must. Innovate, innovate, innovate. There’s a ridiculous amount of pressure to do that. In a restaurant, not so much. And I think that that has built in a lot of complacency in a lot of restaurants because there’s no overt pressure for you to innovate in your restaurant. One of the big trends, you know, of the last 15, 20 years, when you talk to you know your local sporting clubs, all sorts of participatory activities, is that it’s really tough to compete for people’s time. So, you know, people used to play cricket or football, whatever it was, it’s a lot harder to get those people in to be able to do those kind of events now because of the fact that people are a lot more time poor. Now, this is one of those big trends, you know, like a 20, 30 years type cycle. So, what is that mean for you? Well, they’re less likely to go out. Which is why we’ve seen the rise and rise of delivery services. So, you know, you’ve got the first wave, you know, Just Eat, Menulog, Eat 24, Grub Hub. Then you’ve got the next round of innovators, and they’re the ones who solved the logistics problem for the restaurant. So, before, they were solving the discovery problem and the online ordering problem, you know, “Let’s do away with ringing up people, a restaurant,” and particularly if it was a foreign cuisine where they don’t speak the language very well. Let’s just make it all automatic, we’ll take the payment online. That’s easy. That was the first round of innovation in delivery. The second round of innovation was, “I reckon restaurants would be more keen to use us if we fix that problem of actually delivering the food.” Ta-da, that’s what gives you Uber Eats, that’s what gives you Deliveroo, that’s what gives you Foodora. We’re doing a lot of work in this space around the economics of it, we’re still not 100 per cent convinced if anyone’s actually making any money out of it. And I know in Australia, one of Foodora, Deliveroo, Uber Eats is going to have to go, I’m not sure which one it’s going to be. But the market is nowhere near big enough to support all three of them. Now, that has created competitive pressure, even if you never do takeout. It means that people can now purchase a product around convenience rather than having to go out. Which means that they’re more likely to eat in, the spend on people who are actually going out decreases. Because, you know, the economy is relatively tight at the moment. So, that’s just one area I think where innovation is something that you need to be thinking about in your kitchen. The rise of pre-prepared food. Now, I’m not saying that you should use pre-prepared food, but I’m saying that you can innovate around the use of pre-prepared food. The flip side of that is that you can innovate around not using pre-prepared food. You’re not being pushed in a certain direction with a lot of these things, it’s about doing something, being bold with it, trying it out and seeing how it goes. So, I think that’s why you really need to be looking at innovation. I think that that’s the key thing. Now, what is innovation? Now, I’m not going to give you, well I will give you a textbook definition of what innovation is but that’s not what you need to do, okay. And I think that a lot of people think, “Wow, you know, it’s going to be really hard to come up with a new idea. I’ve got all of these competitors, I’ve got all of these things weighing down on me. It’s going to be really hard.” It doesn’t need to be that difficult though. So, it’s simply just a new idea, device, or method. And you can apply that to products, so the things that you’re preparing. Processes, services, technology. You can also innovate in your business model, and we’re going to talk a little bit more about that because I think, I think that there’s a lot to be done in that space. I find it really inspiring to look at restaurant owners who are innovating in that space, in the business model space, and coming up with something that’s anything, “Wow, that’s really cool and it’s really working for them.” They’re making good money out of it, you know, their innovation, the hard work that they’re doing towards the innovation is actually paying off for them. Now, when we say, you know, a new product, it needs to be a new product for your market. Which is really, really exciting because if you’re a local restaurant, your market is probably the people within what is it, 10 kilometres, 20 kilometres. How far is it from your restaurant that 85 per cent of your restaurants come from? Because that’s a really big thing. You can innovate by providing them with a new product, it doesn’t have to be the world’s first example of that. And this is one of the things that I see all the time, and this is what happens in the start up community. People will go to Silicon Valley, or they’ll go to Europe, they’ll see someone with a great idea and those guys are innovating and they’re working really hard, they’re trying to scale out their business in Europe or the United States. And they’re too busy to worry about overseas. So, people will come back to another country start up, basically copy the entire business model and run with it. Now, they get called the innovators but, on a global basis, not the innovators. But everyone in that market goes, “Wow, this is cool. This is a brand-new product, this is a brand-new service. This is awesome.” So, and generally what happens is that they end up getting bought out by the original innovator who’s a little bit further ahead of them and probably got bigger valuations. For you though, this is the part of things, it’s in your market that you need to be innovative and need to be seen as innovative. For a lot of, you know, single location restaurants that’s not a huge market, so you don’t need to be incredibly innovative to be viewed as innovative in your market. And that’s going to be the thing that’s going to give you the edge when you’re going out marketing, that’s going to be edge when you’re looking at your profit and loss. That’s the exciting thing about it. Now, the hard bit is how to innovate. How are you going to come up with a new product? How are you going to come up with a new menu item? How are you going to come up with a new process? I think that there’s a couple of things that you need to, and I don’t have an answer for this. This is just the way that we do it within our company. The first part about it is it’s a lot easier to do in a team environment. One of the things that we do is DiSC profiling, and we’ve talked a little bit about DiSC profiling when it comes to hiring people, when it comes to building a team. So, four personality types, DiSC. The Ds tends to be leaders, short, sharp communications. Is they love talking to people. S, stable, they like to follow procedures. And Ds, they’re very detail orientated, so they’ll be the one who’ll, you know, if the reconciliation’s out by five cents they want to know why it’s out by five cents. Now, the really, really interesting thing is, so my business partner is my wife. I’m very lucky to have her. For the probably first five years though, one point of friction between us was that it was always me coming up with the ideas. Tina really rarely came up with an idea and it was only after we did DiSC profiling that we realized that Tina couldn’t come up with an idea to save herself, I can’t implement on an idea to save myself. I’m an ideas person, they come easily to me. I could have 10 ideas a day. It’s not a drama for me. The beautiful thing about working with my beautiful wife Tina though, is that she’s the one who always starts asking questions about it. Because if we didn’t have her, I would have tried to execute on half the ideas that I have. I would have got a quarter of the way through them, then I would have lost interest and moved onto the next thing and we would have gone bankrupt about 100 times. What is your personality type? And I’m asking that question because I’m not good at coming up with ideas, you need to build a team of people who can come up with ideas or you need to start thinking about how you start having those ideas. How you can start innovating, because someone, someone in the restaurant needs to be innovating. A lot of the research suggests that you should be doing, that you have the best idea. And this is what I find, they come in the time when your mind has got down time. I love mowing the lawn. It is a mindless activity, there is nothing to think about. You just stand behind the mower and you push it. Cutting the grass is the perfect opportunity to let your mind wander. And I actually think that the loud noise that’s associated with it, that blocks everything else. You just hear the noise of the mower, you don’t hear anything else. It’s just a loud drone, it’s like white noise. There is nothing to think about and your mind wanders and it thinks about things. And it picks up ideas and it puts them down, it picks up problems and starts unpicking them. And that is where the ideas start to come from. I have a lot of ideas in the shower which is, you know, can be quite awkward in the office. “Yeah, I was in thinking about you this morning in the shower.” It’s like, “Well, I was actually thinking about the problem.” It’s a process that you do, it’s almost automatic. Your brain has got nothing to do and I think there might be something with that connection with water, and that’s why, you know, people use flotation tanks and all sorts of things like that. Once again, another place that you can have ideas. Now, a couple of things that I do, changes that I’ve made this year to try and be more innovative. I used to, you know, first thing in the morning before I got out of bed I’d be checking email and, you know, what was happening on Facebook and all of those sort of things. Not my personal Facebook, I’d be checking ads and things like that that we’re running. I’ve cut that away. Now, I just try and lay there for 10 minutes and just sort of think. Because you’re just waking up. And it’s the same with going to bed. So, now I will try and read, not use any electronic devices. And I think that these really do stifle innovation, because you’re continuously being stimulated and your brain doesn’t have time to wander, to meander, to think about things. Now, one of the other things that we’ve done, because I don’t want to be the only person coming up with the ideas, I’m trying to drive innovation in our company. I want our company to be a company of innovators. So, one of the things is that we started to designate rooms where you can’t take a mobile phone in. One of the things that we found is that, you know, if a meeting was going to start in five minutes, people would start filing in and they’d all pull their phones out and no one would talk. I mean, this is a team that works together, we’ve been together for a really long time, but people weren’t talking. So, I’ve started putting up signs, “No phones in this room.” “Why not?” “Because I want you to talk to people.” And that’s where, you know, “I’ve got this problem.” “Have you?” It’s the communication but I also think it’s the inspiration and innovation that can come out of those conversations that’s absolutely critical to the success of a company. Now, the other thing’s I think that you should do is you need to think about the thoughts that you have. And the thoughts that you have are, I think, the sum of the experiences that you’ve got. So, if you’re not overly innovative then you should go out and try and do different things. A great example of that, I think, is I’ve got a drum kit now and I’m slowly teaching myself to play. Well, people say, “Do you play the drums?” And I say, “Well, I have two sticks and I bang them and I make noise.” It’s not playing the drums, it’s not, well, I’m slowly getting there. But the beautiful thing about that is that I can get into work and I find that that’s a really good way to just sort of set the tone for the day, I’ll get on there and I’ll try and, it’s really interesting because I woke up one morning and thought, “I should buy a drum kit.” Because I’m not musical at all, at all. And I thought, “That’s a really weird thought.” And then, you know, I found myself Googling it and looking for, “How much would a drum kit cost?” And then about two weeks later it was like, “I don’t really know why I need a drum kit,” and then I thought, “So I could play heavy metal music.” Which is completely bizarre because I don’t listen to heavy metal music. I’m not teaching myself and Metallica’s “Enter Sandman,” I don’t know why. But I’m not musical, I find it quite stressful trying to do that sort of thing but it’s a challenge and on top of that I’m doing stuff that I don’t normally do. Like, I’ve taught myself to read sheet music in some semblances. I am doing different things, I’m watching different YouTube videos. There are a whole series of different problems now that I try and learn the skills of a drummer. The other great benefit I think of that is that you get this concept of flow, you know, you just get into the pattern, you get into the groove, and it just goes really, really, really well. And I think there’s a lot of innovation and I’ll just sit there just dumbly banging away there, and start thinking about things while I’m doing that. That percussion, this is another place where I can start thinking. And I’ll do it and I’ll think, “You know what, this is great. I’ve got 20 minutes I can play the drums for.” And I’ll only be on there for seven minutes because it’s like, “So, we’ve got all of this data. If we started running these queries, I wonder what that would look like.” And I’ll be back at work but I’ll have a completely new tangent to be creating data models about when customers come into restaurants and things like that. Which is exactly what I want to be doing, coming up with those interesting questions to ask. Which is the next point that I want to raise. I believe that success in life, success in business is all about asking the right questions. Too many people don’t ask questions, so the first thing if you’re in that restaurant that’s been running for 20 years and you’re starting to see that gradual decline. The first question that you’re going to ask subconsciously, “Why are the numbers dropping?” And it’s really, really easy to say, “Well, it’s the economy.” Why is the restaurant across the road doing better than me? And when you ask that question ask it honestly. Go and eat there. Find out what it is that he’s doing. Is he doing better marketing? Is his prices cheaper? Is he more expensive? What is it that’s creating that? Don’t just accept that it’s the economy. Because even in a down economy, people can still make really good money. It’s just a question of how they’re going to do it. Ask the question, “How could I get more people in? How can I make the customers come back more?” As you start your quest to become an innovator, or to innovate better, faster, the things that you’re doing. So, I go to art galleries. You know, I never really liked art galleries but I thought, “I’m going to go to some are galleries because I don’t go to art galleries. What is it that I’m missing?” And there’s a couple of interesting stories about art galleries. We went to the New South Wales art gallery about six months ago, and there was a series of videos with Cate Blanchett. It was called Manifesto, and it was very, very arty. Which is code for we were looking at it going, “Holy cow, this is completely off the dial.” And we had to leave, so we didn’t get to see all of it. But we saw about four of the films, I think there was seven films in the series. And they ran for like five or seven minutes each. And we left and I remember we were talking about how, “Wow, that’s completely out there, you know. It was good to see it but that just doesn’t resonate with me at all.” But there was one phrase in that that I’ve just been sort of mulling over in my mind ever since, and it was Cate Blanchett saying that there is nothing new, there is no new innovation, everything is borrowed or stolen from someone else. And I thought about that. And I think that that’s, we look at the stealing of ideas and I don’t think that that’s a cultural thing, the way that people look at the way that those ideas are done. But a lot of people grab an idea and that becomes the genesis for the way that they’re going to innovate. It’s very hard to innovate if you’ve got very, very narrow experiences. And when you expand your horizons, when you start looking at those different experiences, then you’ve got a much bigger framework from which to innovate. And I think that that’s the salient point of a dish like the five ages of Parmesan, because that’s the culmination of all of that work I think. It would be interesting to hear his take on that, on how he has been influenced by the introduction of going to art galleries, experiencing art, and how that’s changed his thought processes over time. So, when you look at your kitchen I think that there are probably two places that you can innovate. So, the first place is in the business. The second one is the menu, alright. And I know a lot of people listening are going to be thinking about the menu, that’s probably the place that they need to start. Look, yes and no. I think an innovative menu is an incredibly attractive proposition in a restaurant and can add huge amounts of value. But I think that there’s also a huge amount of value to be had in innovating in your business model. Now, there’s a couple of things, let’s talk about the business model first because there’s a couple of interesting things that are taken from that. Now, let’s think back to what Cate Blanchett said, that there’s no new ideas, and let’s start thinking about how the business runs. When I was doing my MBA, one of my favourite stories that I took out of that was a story about Southwest Airlines. Southwest had a very tough birth, they spent a lot of time in court, years in court, before they ever flew. So, they felt really privileged to have aircraft and to be able to fly. And Herb Kelleher, the owner of Southwest, he knew that a plane in the air was making money. A plane on the ground, not so much. In fact, zero. In fact, burning money at a horrific rate. Because you’ve got to pay for the lease on it, and there’s all these staff running around and you’re not getting a cent. It’s only from when you take off to when you land that you’re making money. So, the plane spends a lot of time on the ground, how do you fix that problem? And that’s a really, really good question to ask. He looked at the other airlines and this is the disturbing thing that he found, plus or minus 10% everyone’s doing the same as you, okay. There’s not a lot of variation within an industry. So, Herb and his team, and this is where the real genius comes from. Who is it that takes a horribly complex machine, like an aircraft, and does stuff to it? Turns it around really, really quickly. And so, they spent a bit of time mulling over that and then some bright spark had the idea of Formula One pit crew. Bingo. Formula One pit crew. Right, let’s go and watch some Formula One. And so, they went out into the pits and they watched and they studied and they learnt how a pit crew operated. They then took the way that a Formula One pit crew works and they embedded that into the way that they turn a plane around. And I think that they got famous for a 20-minute turn, I think it was 20 minutes. So, everyone else was taking 90 minutes, they were doing it in 20 minutes. Which meant that they could get an extra flight in per day, which made a massive difference to the profitability of the company. And you see that in things like a lot of people copy, all of the low-cost carriers they try and copy that. I think that one of the things that’s a real determinant of whether you’ve copied the Southwest business model or not is when you see a pilot cleaning the cabin. There’s no fixed jobs roles at Southwest. If the cabin needs to be cleaned, you get people to clean the cabin. The pilot ain’t going anywhere until the cabin’s clean. So, if he’s done all of his pilot stuff and he’s sitting there waiting, he gets out and cleans the cabin because the cabin needs to be cleaned. Same same with loading baggage, if there’s an issue with loading baggage and they need a couple of extra hands, pilot will load baggage. Really different culture within Southwest, really different business processes. But that has led to them being one of the most profitable airlines in the world. That innovation. Well, stop right there. Who could be your partner? Okay, if no one’s going to be your partner then stop and force yourself to come up with 10 ideas. There’s got to be 10, there’s got to be 10 organizations out there that you could do something with. You would like access to their database, they’d like access to your database. You know, they need food, you need customers, they’ve got produce. You know, is it your suppliers? What is it that you can do with these people? How can you enrich those relationships? One of the things that I always find is that people always look at their customers and say, “You know, the customer’s right. The customer’s really important.” And, you know, when they’re buying something from a supplier they thing that they’re the customer so they should get whatever it is. What value is there back up the value chain? Could you do a meat appreciation night with a local butcher? And he’ll go through all of the cuts and the way that they’re prepared? You know, we talk about vineyards all the time, we talk about whiskey drinking nights all the time. Have a think about those sort of things, have a think about those relationships. This is where you’re going to start being innovative. If you’re not doing this sort of stuff and you start doing it. That’s innovation and that’s exciting. Key activities, what are the key activities that you do? And I’ll include a link to a Harvard business review podcast. When I was doing research for this they had one on innovation and it was really interesting. There was a guy who was doing some consulting work with McDonald’s, and McDonald’s sold a lot of thick shakes, they made a lot of money on thick shakes, and they were super excited about thick shakes. They looked at thick shakes, they wanted to sell more. So, they improved the recipe and they made it better. And the interesting thing was that nothing happened to sales. These consults in and said, “Right, we’ve made a better milkshake but it hasn’t made any difference.” So, they got a team of people in a store, and I think this is an old story because obviously if you’ve got POS data you wouldn’t be sitting there, you wouldn’t have people in a store for 18 hours trying to work out when people were buying stuff. But they had people in the store for 18 hours and they realized that something like 80% of thick shakes were sold before 9:00 in the morning. Interesting. The next day they went back and up until 9:00, they asked a hundred people as they were coming out of the McDonald’s, “Why did you buy that? I’m just really interested to understand.” He talks about, you know, “Why did you hire that? What job is that going to do?” And the feedback that they got was that they had a long drive into work and they had one hand on the steering wheel, God gave them another arm, you know, they wanted something to do. And they didn’t want to be hungry at 10 o’ clock. And so, a thick shake did a really good job of that. You know, you can drink it while you’re driving, it keeps you nice and full. It’s thick. It takes a long time to drink a thick shake. So, if you’ve got that long drive in, you’ve got something that’s occupying you for a significant portion of the day. Now, this is why people were buying the thick shake from them. So, what they did was they pre-made thick shakes, had them ready to go, and people could just skip the queue just to get their thick shake. Because that was the other thing that was really interesting about it, they only bought a thick shake. Nothing else, just a thick shake. Now, what was the competitor to that? Because McDonald’s thought that their competitors were, you know, Wendy’s and Burger King. It was things like a banana and people said, “A banana’s no good because can you imagine trying to eat a banana while you’re trying to drive a car?” You know, it’s almost as dangerous as checking your Facebook account while you’re driving. And it doesn’t keep you full, so you’re hungry again by 10:00 am. So, they made it easier to purchase, in and out, really quick. You don’t want to be late for work. The interesting thing, and the one line I got out of this podcast was that the customers will often not buy what it is that you’re selling. McDonald’s was selling a thick shake, it wasn’t about the thick shake. It was something to do on the drive in, and it was not being feeling hungry at 10:00 am. When they understood what it was that people were buying, they were able to innovate around that and they, I think thick shake sales increase ninefold or something like that. I don’t know it was some sort of ridiculous. I was going for a run when I was listening to the podcast. It was some huge increase in sales. They’re starting to ask the right questions. You know, why do you buy that? What is it that the customer is actually? Really interesting questions to be asking, and that goes into the key activities. What is it that you do? I have been in restaurants and spoken to the restaurant owner and he talks long and hard about all of the work that goes on in the kitchen to make all of the food that’s amazing blah, blah, blah, blah. And you look around and you think, “You know what, not one person’s buying your food.” The place is full, the place is packed. It’s rowdy, it’s noisy, they’ve got a huge area for kids, and it’s a place where you can dump your kids in relative safety and spend some time with your partner. That’s what people are buying. Listening to the restaurant owner though, he didn’t understand that. You know, I know that the local café in our old office they played this really loud music which I always found completely amazing. We went there when our meeting room was busy. So, if we only had one meeting room in the old office. If someone was in that meeting room and someone came for a meeting we had to go to the local café. We were buying a meeting room. Now, obviously, you just go there and sit there. So, we obviously bought a couple of coffees. That’s all fine and good. But they didn’t understand that we were buying an office, because they had really, really loud music which made it hard. You’re kind of shouting so that the other person can hear you. If they understood, and we weren’t the only ones, we certainly were not the only ones. there was a lot of people there who were getting their coffees and having that meeting. They were buying an office, as well. Why are the key activities in your business? Now, this was in a lunch industrial estate. It was a lunch shop in an industrial estate. So, they obviously sold a lot of food, but if they’d kept the music down a little bit, I reckon they would have had a lot more business, because they were driving people away because it was too noisy there. What are the key activities that you conduct? what’s the value proposition that you’ve got? Too many times people say, “It’s great food.” If you’re running a takeout business it’s convenience, you know. It’s the ability to get some food without having to clean up, without having to prepare it, without having to worry about someone to mind the kids, without having to worry about drink driving. Too many people don’t that. Too many people are sort of struggling to come to terms with what it is that they’re actually doing in the restaurant, what their value proposition is. Some people don’t have a value proposition. I think that this is madness. This is where you should be starting around your innovation. You know, “We cook great Italian food.” Well, there’s probably, you know, 200,000 other restaurants in the world that do that. So, join the club, you’re 1 of 200,000. That’s awesome. Innovate on your value proposition so that you’re one of only one. That’s going to be hard if you’re tackling a global stage, not so hard if you’re tackling a town. A lot easier to do. He had a really clear idea of who his customers were, and that’s really important. Revenue. Where do you get your revenue from? “Well, you know, we give people food and they pay at the end of it.” Do you have, you know, the range of condiments that you’re selling? Do you have a book? Do you do cooking tours? What are the other things that you could be doing to generate revenue? You know, some people lead tours. You know, Italian chefs who lead a cooking tour through Italy. Now, I don’t think I’ve found anyone who actually makes a lot of money out of those, but they get a free holiday to Italy. That’s not too shabby. Where’s the revenue coming from? And I think that that’s an important question. Channels. Now, in the restaurant industry, we don’t talk about channels a lot. It’s really only applicable for people, you know, kind of like Krispy Kreme. You know, how like the donuts, there’ll be a big Krispy Kreme somewhere and their donuts sort of end up in all sorts of places. Supermarkets and 7-11s and places like that. In a lot of other industries, channel is huge. In the IT industry there are some businesses that are channel only. So, they’ll sell through resellers. Could you have resellers? Now, you know, if you’re a baker then obviously that’s a lot easier. But what are the things that you can do around creating a reseller channel? It’s an interesting question, I think there’s some people who are playing with some really interesting ideas around that. The key resources. Okay, so, what are the key resources? We’ve talked about the key activities that you do. If you’ve got really highly trained chefs, then that’s going to be one of your key resources. If you have entry level chefs who are following tightly controlled processes, not so much. Do you want to change the allocation of key resources? Is it hard to find chefs? I know it’s really hard to find chefs, you know. How can you do more with the chefs that you’ve got? How can you do more with less chefs? How could you get more chefs? Ask these questions. How can you keep them longer? Why do the chefs leave? “You know, it’s because they don’t like working hard.” Really? Really? I don’t think that that’s the case, you know. And I find this really interesting. You should have strong HR systems. Do you do an exit interview? You know, in our company we always do an exit interview, well nearly always unless it’s untidy. But we always want to have an exit interview. And we say, “Look, you’re leaving now. Can you please help us to build the company better? We’re sad to see you go, what is it that’s making you leave? Please, be brutally honest.” And you get really good feedback out of that, which helps you decrease your turnover. Now, this is just a list. It’s a list that I want you to download, it’s a list I want you to download the PDF. Print it out, have a think about it. Talk about with the key people in your organization, and start mulling over. This is going to create questions for you, that’s the start of the innovation process which is super exciting. Last one is costs. They’re horrific, aren’t they? Yes, there’s far too many costs, not enough revenue. How do you spin that in a better way? So, that’s the Business Model Canvas. That’s the, you know, the 10-minute fly through of the Business Model Canvas. Let me know if you’re super interested in this, I can talk about this. I love this sort of stuff, it’s been a fundamental part of the way that we’ve structured our business. And, you know, when you look at, you know, the fact that we’ve now got customers in eight countries and, you know, I was talking to the team a couple of weeks ago. You know, how long is it going to be before we’ve got customers in 25 countries? That’s going to be epic. That pace is really, really picking up now. So, I don’t think it’s going to be too long. If you’re listening in one of the eight countries that we’re not in, you know, please email us because that would be awesome to get to 25 a lot quicker. But the speed with which we’ve got to eight, a lot of it has been, I’ve got this up on my wall and I don’t work on it every day but I think about it, you know. We need to increase our channel. We’re about to introduce a referrer network for marketers, designers. The people who are doing the Facebook marketing, you know, we provide some great tools. We want to put those tools in the hands of the people who are helping the restaurants. And, you know, make sure that they’re doing the best work that they can do. So, providing them with a whole heap of resources, you know, some rebates to really build a strong channel for us. And I think that that’s really important. Now, that idea came out of the Business Model Canvas. What idea is it going to come out of for you? Now, so the framework that I’m working on is the two places that you can innovate. So, you can innovate in your business, or you can innovate in the menu. I think menu innovation is a fascinating thing. I’ve spoken to a few chefs about this, I plan on doing some more interviews with some chefs to really unpick this process because I find it fascinating. You know, the guys who are coming up with the really, really super innovative stuff. You know, Alinea, Lume. Things that just, sort of, blow your mind, really play with your mind. How do they come up with that? Because it’s interesting, what Massimo Bottura was talking about, that fusion of technique, ingredients, this is where you can really show your innovation. How do you get to that point? And looking at menus as often as we do, there’s a couple of that to me have sort of come out. One of them is that you can take two existing products and sort of meld them together. Now, this is where we get Asian fusion, whether it’s taking an ingredient and using a different technique, or whether it’s taking two ingredients and sort of mashing them together. And we spoke about the meat pit hamburger, the crazy milkshakes, you know, the tella ball milkshake. Now, that had a massive impact. That innovation is not that hard to do. You know, they made great tella balls, they made great milkshakes. What would happen if you put the two together? Not rocket science. The technique required to do that, everyone listening to that podcast could do that. You know, if you’re running a café, you should be able to innovate in some sort of way. When I was doing my research for this I found, when into Reddit and asked the question there, there was some great answers in there, as well. There was talk about the book The Flavour Thesaurus by Niki Segnit, I’ll include a link to that, as well. Allows you to go and find an ingredient and then find flavours that go with it. That could be the basis, you know. Challenge yourself. And you see this a lot of the time on MasterChef, you know, “Here’s five ingredients, cook something out of it.” Now, that is forcing that innovation process. And, you know, I wonder what those meals really taste like and I think the interesting thing is if you do that, you might say, “Well, that didn’t work but if I tried it with this ingredient then it probably would.” Start experimenting. Start trying to play with some of the things that you do. Massimo Bottura talked about the way that he was breaking down traditional Italian cooking. It had become, I think when he was quite avant-garde it had become very formulaic, a little bit stale even. He was breaking it down and reinventing it. He coped a lot of flake for it, too. He was very unpopular because it had become sort of a sacred cow. It took a while for him and it was a point where he was almost going to close the restaurant down because he was continuing to get bad reviews, which I thought was really interesting. Because then one food critic came in and said, “You know, this is really inspirational stuff. It’s very exciting,” and then, you know, that was the impetus for it to all change. Have something that anchors you in that inspiration process. You know, do you want to start recreating the 10 meals that you can remember from your childhood? Because the interesting thing, now that’s interesting if you do it. What if you recreated the 10 meals from my childhood? And, you know, one of the things that goes in favour of restaurants is that we deal with food, and food is such an important part of everyone’s life. And it gets wrapped up in, you know, you’ve got the small, you’ve got the taste, the texture, all of those sort of things. But all of those sort of things get imprinted on people’s memories, and it can be quite an amazing experience when there’s something that you eat and, “Wow, this is just like my mum used to cook.” You know, “This reminds me of my Nan.” You know, anyone who cooks a pancake like my Nan it’s like, “Yeah, this is epic. Just epic.” Now, I don’t even know if I can tell the difference between a great pancake and one that was like Nan’s, it’s just the fact that it reminds me of Nan. That’s a really happy time. Is that what you want to be doing as you try and innovate with your menu? Now, the other component that you’ve got, and this is the kind of thing that they are doing, is they’re taking something and recreating it in food. So, you’ve got a balloon and a balloon, and once again let’s go, what is a balloon mean to people? Will that remind you of, you know, your birthday parties when you were a kid? So, you’ve got something there it’s apply taffy, it’s fun because you can eat it, it tastes like taffy, it tastes awesome and it’s got the helium in there. It’s got all of those things. An amazing part of innovation. And I think he’s redone his menu and that was the one menu item to survive for the new restaurant opening, which would be super exciting. I’d love to try that out to see what new ingenious things that he’s come up with. So, as far as the menu goes, that’s the kind of things that you can do. You can combine techniques, you can combine ingredients, or you can recreate something in food. If you think that there’s ways of innovating that I’ve missed on that, you know, please let me know because I’d be super keen to hear about it. I am working on a big thing around menu engineering from whoa to go. So, from the idea through to costing, through to actually printing the menu, through to getting front of house dialed in on, you know, what they should be selling. That whole process. And I think the innovation part of it is really, really – innovation, you know, what is it that you’re going to cook? How are you going to cook it? What are the ingredients that you’re going to put in there? Can you substitute an ingredient that gives just as good a component for a cheaper price? Because we’ll just increase the profitability of that menu item, that’s exciting. What are the things, how can you recreate something with cheaper ingredients? Now, I just thought of that question then. That’s an interesting question, particularly if you’re not sacrificing quality. Now, we’ve come to the end but there’s one final thing that we need to talk about. It’s a topic, it’s the f-word. It’s a topic that people aren’t really comfortable with I think, which is sad. Because I think that the more you do it, the better off you are. I’m talking about failure, of course. When you innovate, I think that this is the main reason why people don’t innovate. I’m going to try something new. I try it and it doesn’t work. I have failed. Now, you know, we can talk about Thomas Edison, you know, “I didn’t fail, I found 999 ways to make a light bulb that didn’t work,” or whatever it is that he said around that. You need to accept, like at the end of the day you failed. You’re trying to make a light bulb and you didn’t. You need to go on though, you need to like, it’s part of the journey. And I want to end off with a quote from Wolfgang Puck. He said, I’ve opened a lot of success – I’m paraphrasing here – I’ve opened a lot of successful restaurants but I’ve learnt the most from the ones that failed. Now, I thought that’s the perfect quote for this podcast, because this is where you’re going to learn. This is where you’re going to be a better chef, you’re going to be a better restaurant operator, you’re going to be better at front of house, better at whatever it is that you’re trying to do. When you try something, you go through that process of thinking about a problem, coming up with an idea, trying to implement a solution, and failing it’s like, “Yup, that didn’t work. Why didn’t it work? It didn’t work because of this, this, this.” Okay, this is probably a better way of doing it. And I think that that is a really key component of it is embrace failure. We talk about it in our developer team particularly, when we’re coding something up. I don’t want to spend three months on something to realize that it’s not going to work. Get something up, I want to fail quickly. Fail fast. We embrace failure, we want to fail quickly. If this is not going to work, I want it dead today. Because I don’t want to be wasting time, time is not a resource that I have anything spare of. So, that’s the big thing, you’ll learn more from the failures that you have. So, yes, go out do something new, speak to some new people. Go and eat in some other restaurants, there’s lots of things that you can do to really spark those innovative juices. And I think I’d be really keen to hear what sort of processes that you’re having. What are the great innovations that you’ve come up with in your restaurant? Lastly, it is the most important thing that you need to do. The time’s they are a changing, and innovation is the key way that you’re going to be able to manage that. Innovate, fail, innovate again, and win. That’s the big thing. So, I will leave you with all of those thoughts. We’ve talked for an hour. I really hope that you’ve got something out of it, you know, just even if it’s a little thing like, you know, try and put your mobile phone away, try and talk to someone a bit different. Go and experience something different that you can synthesize into your food, into your business, into your restaurant. Yeah, that’s it. Go out there and have an outstanding day. Bye. Voiceover: Want more customers for your restaurant, café, or takeout? Every month our marketing tools and information are used by thousands of restaurant owners just like you, to help them find more customers and turn them into repeat customers. All of our tools and information is designed specifically for restaurant owners. We know you don’t have a lot of time to spend marketing or learning complicated procedures, so our tools are quick and easy to use. 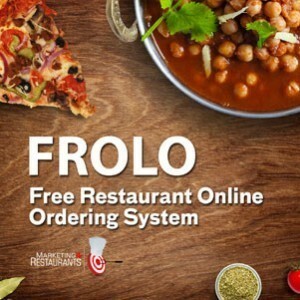 If you’re looking to increase your revenue and profits, or want to work less hours, check out marketing4restaurants.com. 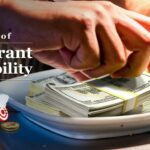 39 - The Secret of Restaurant Profitability - New ways to look at Restaurant revenue and profit.